E! 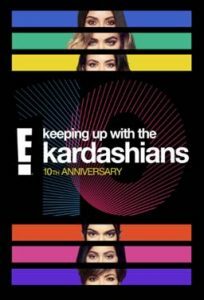 celebrates the 10th anniversary of the reality TV show, Keeping Up with the Kardashians, with a glamorous event in London, on the 22 and the 23rd of September. Die-hard fans of the show will be offered great selfie opportunities, makeup sessions and more. The dashing event will be taking place in Saatchi Gallery, King’s Road, Chelsea, London. Since its very dawn, the show transformed from being a family documentary into a worldwide phenomenon. We’ve got to see the family evolve over the years and to witness weddings, birthdays and parties. Now, the fans have an even bigger chance at getting closer to the Kardashian family, just by booking the ticket.